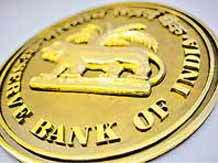 The Reserve Bank of India (RBI)'s panel on financial services for small business and low-income households has advised replacing the multi-category classification of non-banking financial companies (NBFCs) with a two-category structure. NBFCs should be classified as either core investment companies and another category for all others, says the committee on comprehensive financial services for small businesses and low-income households, headed by Nachiket Mor. It asked RBI to revisit priority sector lending (PSL) definitions, to enable the gradual transition of NBFCs to wholesale consumer banks or wholesale investment banks or national banks. There should a provision in the Banking Regulation Act to allow this, it has said. Benefits such as tax sops or bank limits previously available to specific NBFC types (such as asset finance or infrastructure finance units) should continue even after consolidation. The panel advocated regulatory convergence between banks and NBFCs on the principle of neutrality for classification of non-performing assets and using the Securitisation and Reconstruction of Financial Assets and Enforcement of Security Interest (Sarfaesi) Act. For addressing wholesale funding constraints faced by NBFCs, it said RBI and the Securities and Exchange Board of India should develop a framework for Qualified Institutional Buyers and Accredited Individual Investors to participate in debt market issuances. Regulators should allow external commercial borrowing (ECB) in rupees for all institutions. For ECB not in rupees, eligibility should be linked to size and capacity to absorb foreign exchange risk, it said. The nature of activity must be the criterion for availing refinance from agencies such as Nabard, Sidbi or NHB, and credit guarantee facilities. The current capitalisation slabs on foreign equity funding should be relaxed. The regulatory focus must be on total indebtedness and debt servicing capacity of the small borrower. The total borrowing limit for small borrowers could be raised to Rs 100,000 across all lenders. On the PSL norms, it says there should be an active market for these assets. The related relevance in the rules on Statutory Liquidity Ratio and Cash Reserve Ratio should be reassessed. The proposed wholesale banks may be permitted only to accept deposits larger than Rs 5 crore. As they will not take retail deposits, the minimum entry capital requirement should be eased to Rs 50 crore, compared to Rs 500 crore for full-service scheduled commercial banks. Institutions with 20 or fewer branches could be called Wholesale Investment Banks, while those with a larger branch network could be referred to as Wholesale Consumer Banks. The latter should be permitted to act as business correspondents for other full service banks.